28 October 2016: ‘Two pints of lager and a PhD talk please’ at Sheffield pub (Sheffield Star). 10 August 2016: Postgraduate students present their research over a pint! (De Montfort University, Leicester). 27 May 2016: Interview (with Kash and Regan) (The Left Lion website and magazine). 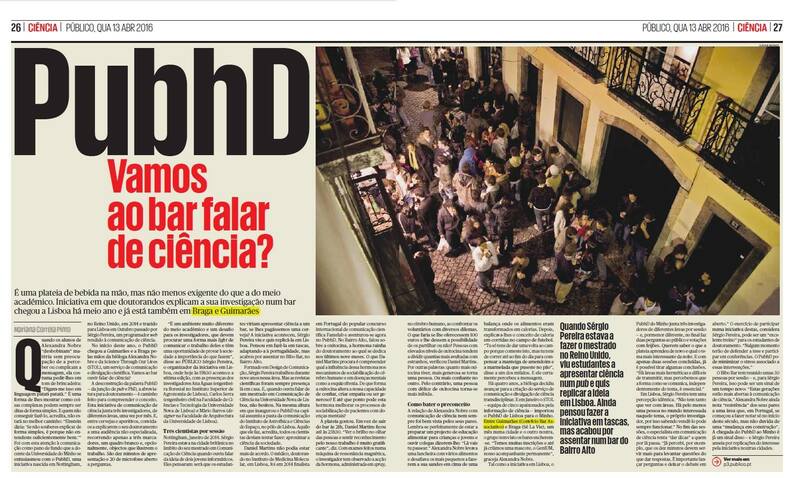 12 April 2016: PubhD: vamos ao bar ouvir os doutorandos falar de ciência? – “Publico” (the main Portuguese newspaper). Also see this image. 4 April 2016: Two pints of lager and a PhD lecture – TV spot (That’s Manchester). 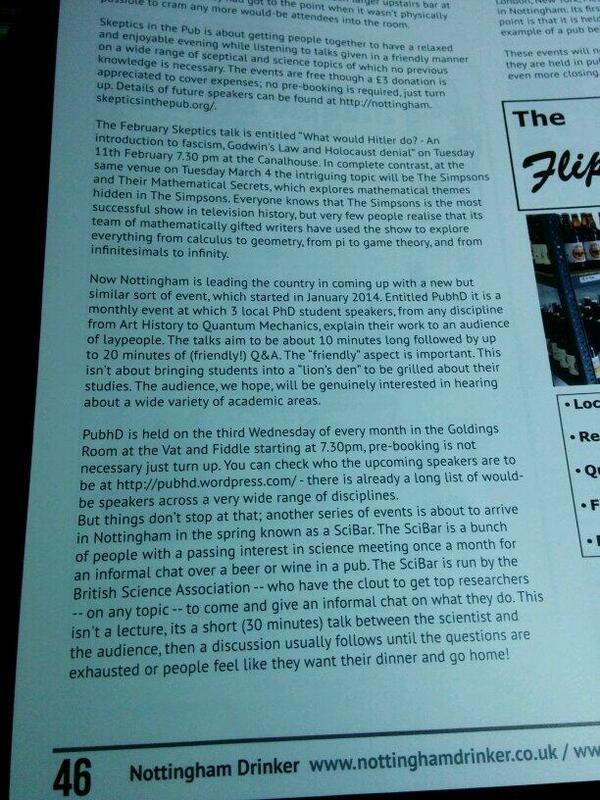 March 2014: More Reasons To Visit The Pub – Nottingham CAMRA magazine.